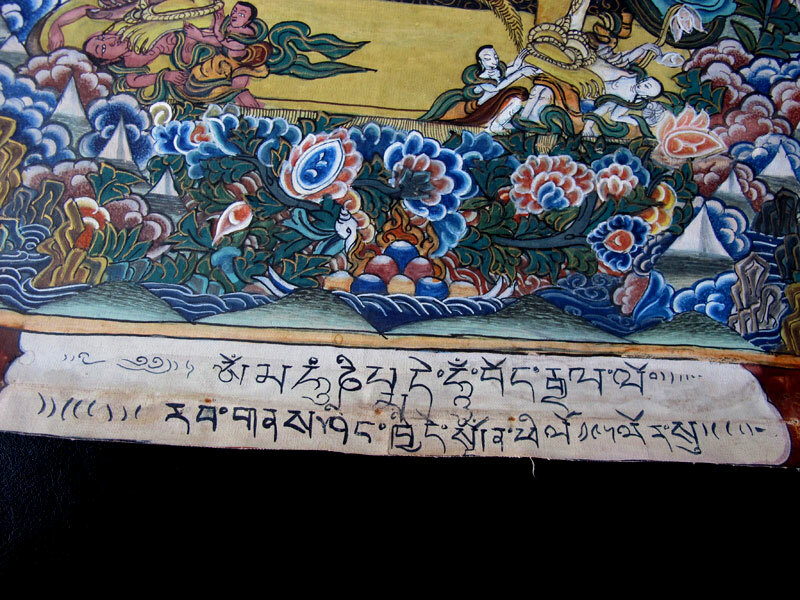 Can anybody here translate the script at the bottom of this Thangka? I was told it might be tibetan but not sure. 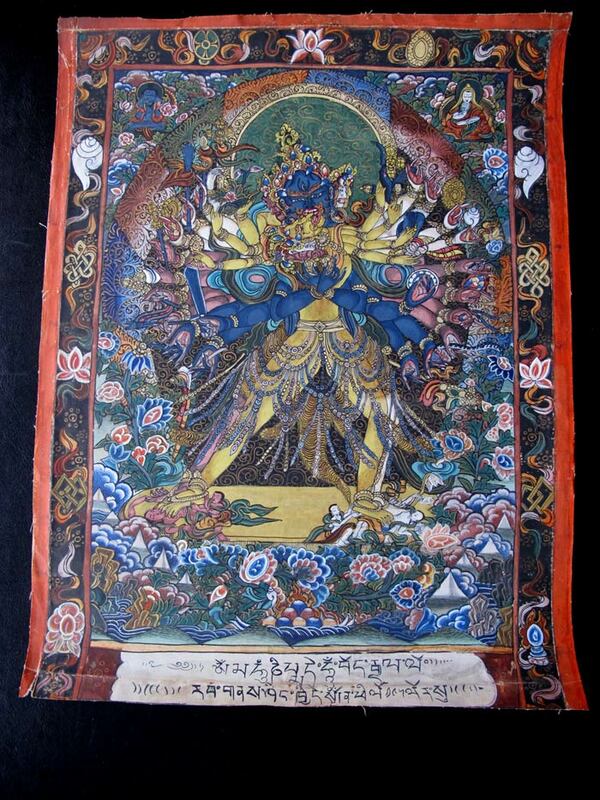 teaching in Tibetan Buddhism given by the Dalai Lama every 2 or 3 years.Unfotunately i can't read Tibetan.This thangka is a recent and poorly done painting.